Warren Buffett is an investing icon and there is a good reason for that. He has been amazingly successful and he leaves the impression that individual investors could duplicate his success. This is not true for other professional investors. Many investment managers, in all honesty, pursue strategies than an individual cannot duplicate. Activist investors, for example, buy large stakes in companies and then advocate for changes that will unlock share holder value. A famous example of investor activism is the story of Darden Restaurants, the parent of Olive Garden. By October 2014, Starboard Value, an activist firm challenged the board and zeroed in on a set of changes to improve food quality, diner experiences, and streamline operations in kitchens. “But this rule was rarely followed and barely enforced, which often led to the once-fresh carbs turning to rocks as they sat uneaten on tables across the country. 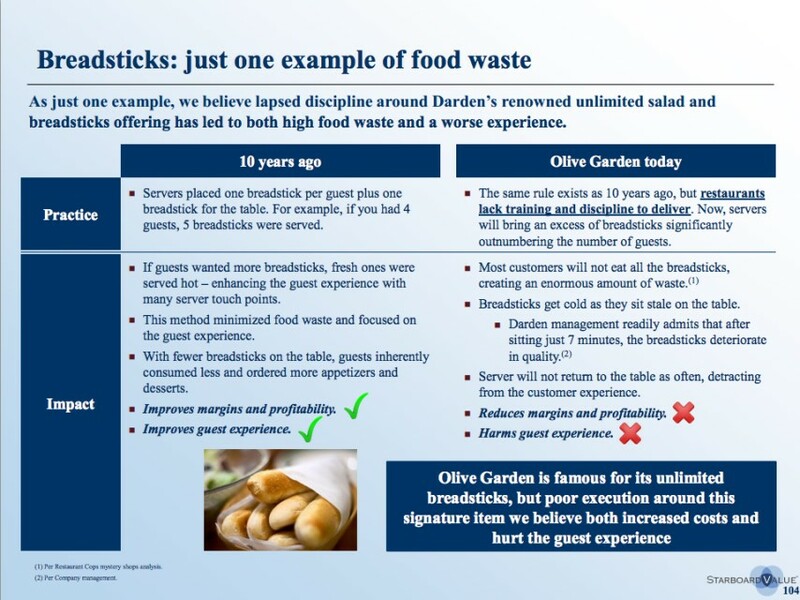 Starboard, the Journal reports, suggested that Olive Garden could save up to $5 million each year just by sticking to the breadstick guidelines. Individual investors generally lack the resources to invest like this. The same could be true of many quantitative strategies or even broad value and growth approaches. That could be why many individual investors look to the wisdom of Buffett. Buffett is older now and he has hired other investment managers at his company, Berkshire Hathaway. That means there is really no way to know if Buffett is making the buy and sell decisions of any current Berkshire Hathaway investment. To study Buffett, it could be best to consider past investments. Many individuals could consider this approach as a way to evaluate investments. If they did so, they could avoid many potential investment disasters. Thinking about a business’s key economic characteristics 5-10 years out will significantly reduce the number of investment options for many individual investors. It will require understanding the business. That might seem like a disadvantage at first. It could limit investors to stocks like Coca Cola (NYSE: KO). This is a company that is easy to understand. They make soft drinks. Their brand is known around the world. Their product is available and is the same all around the world. Simple, in this case has turned out to be a good investment. Thinking about a business’s key economic characteristics 5-10 years out could cause investors to miss out on stocks like Cisco Systems (Nasdaq: CSCO) in its early years. Cisco makes routers that make the internet possible. In the late 1990s, Microsoft was responsible for providing the software with Windows that established standards. Intel defined the standard for hardware at that time. Cisco connected the world. But in 1999, there weren’t many investors who truly understood the technology. Homes were served by modems rather than routers and the promise of the internet was a large part of the allure of the stocks. Not understanding technology but hoping for the best, a bubble developed. Investors who were following Buffett’s advice and being perfectly honest with themselves would have most likely avoided the bubble. But, ten years later, these same investors might have developed an understanding of routers and connectivity. The technology was now in their homes and they might also have seen Cisco voice systems in their offices. They might have a better understanding about the potential in the future. And, they could have bought when they understood what the future could possibly look like. The central question of whether or not Buffett’s advice could be followed lies in how an investor feels about accepting limits on their thinking. This could prevent many investors from buying into the technology sector. Despite his refusal to participate in what many investors believe is the most promising sector of the stock market, Buffett has done well. In fact, he may be the greatest investor in history. And, that point can be very important to consider. As individual investors, we often plunge in to stocks that we have little understanding of. The story might sound promising or the sales rep could make a compelling case for the technology. Meanwhile, we walk past the cans of Coke in the store that have been stocked on shelves since our grandparents’ day. Buffett has made a fortune by noticing what’s on the shelves around him and taking time to understand the companies he invests in. This step could prevent large mistakes and keep individual investors out of the bubbles that form in markets. This philosophy could have helped many investors avoid bitcoin and cryptocurrencies, for example. These are markets that are likely to have some type of key economic characteristics 5-10 years out. But, even in the bubble, experts argued about what the future held. That was an indicator the market carried risk. Buyers were hoping the best case scenarios would come to pass without even being able to articulate what the best or worst case was. Buffett, of course, would not participate in markets like that. This could be an important lesson for all of us. Know what we are investing in before we buy.